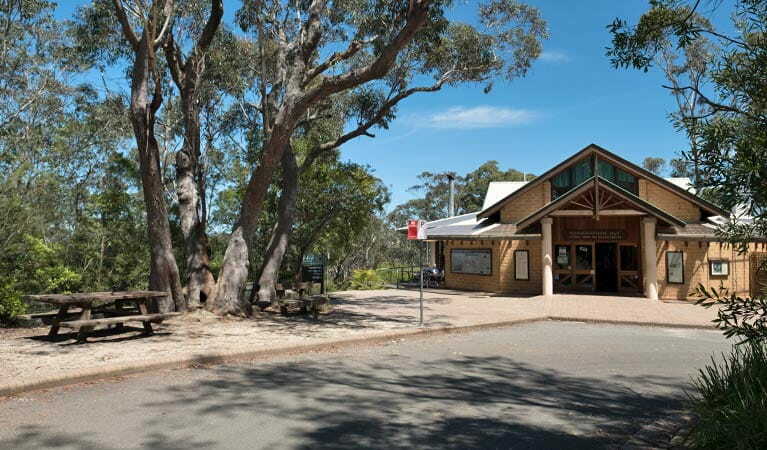 Conservation Hut at Wentworth Falls is a great spot for a bite to eat. 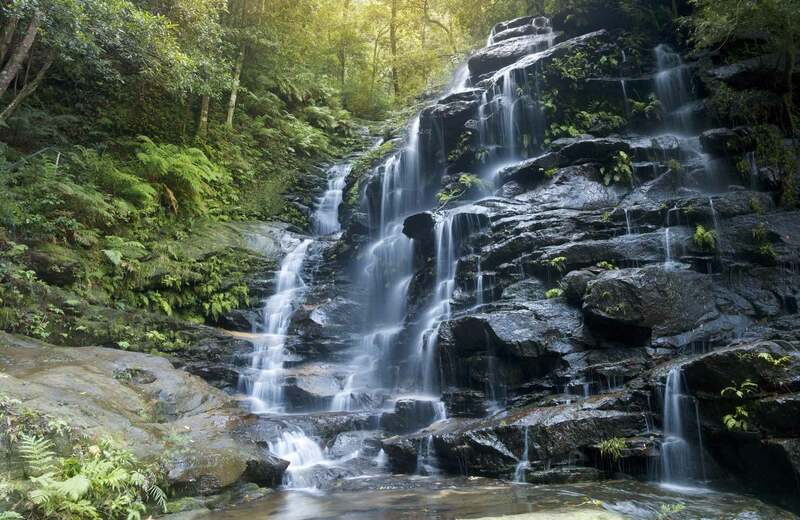 Enjoy a view of the World Heritage listed Blue Mountains National Park from the café’s balcony. Conservation Hut is closed on Christmas Day. For more information or to book, please call 02 4757 3827. Bookings recommended. 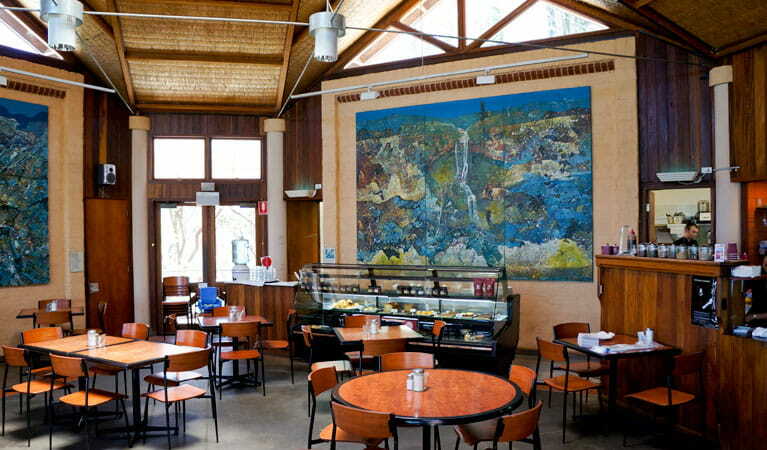 Conservation Hut at the Valley of the Waters in Wentworth Falls offers a range of hearty lunches, tasty snacks and great coffee within the beautiful World Heritage - listed Blue Mountains National Park. 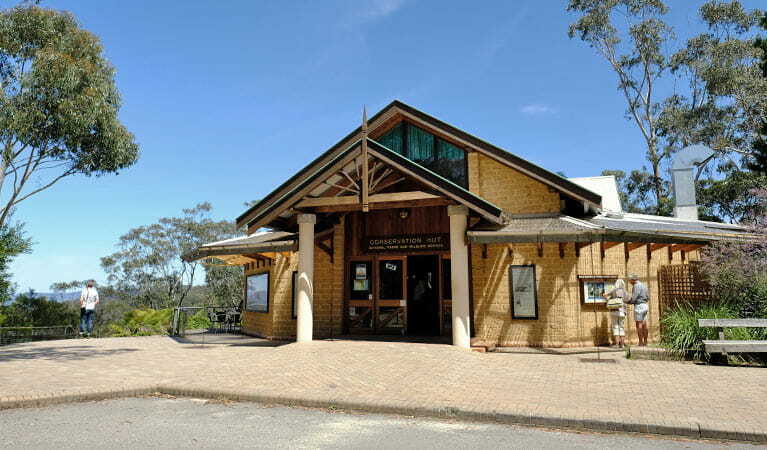 Since the 1960s, the "Hut" has been a meeting place for the Blue Mountains Conservation Society and a valued rest stop for hikers. Rebuilt in mud brick in 1989 to house two Reinis Zusters paintings, the Hut continues to inspire sustainable ecological values. 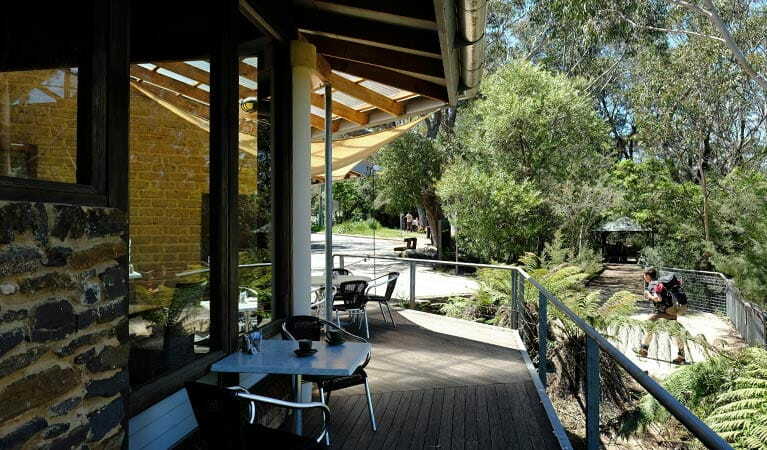 Today, Conservation Hut is also a great place to meet your mates for a coffee and hearty meal before setting out on a bushwalk, and likewise, a good spot to refuel when you’ve finished hiking. Offering friendly service and beautiful surrounds, it’s also a good place to get together with friends and family for lunch or a Devonshire tea. Plus, the "Hut" is also suitable for group functions. 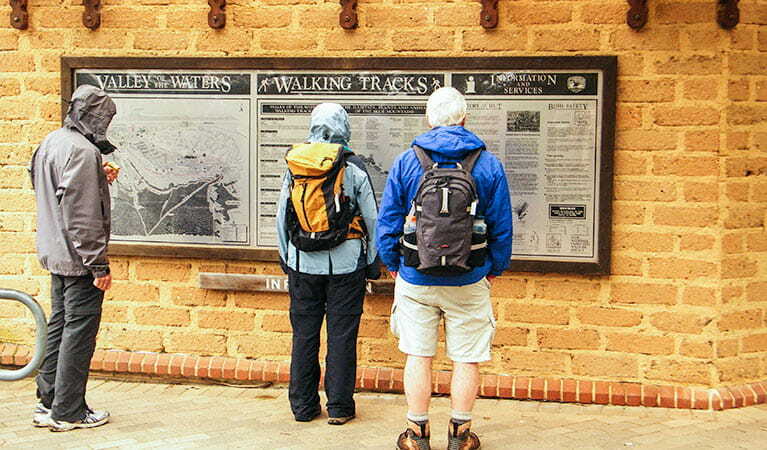 If you’re keen to stretch your legs, there are lots of great walks that start or finish at the Hut. You could try the Valley of the Waters track or the Nature track that finishes up at Conservation Hut.